Happy August and Happy Digital Sisterhood Wednesday! It’s almost time for the BlogHer Conference and the Podcasting 101 Panel that Digital Sisterhood Network founder Ananda Leeke will be moderating on August 3 from 1:15 p.m. to 2:30 p.m. Check out the digital treat below that offers nine benefits of podcasting that Ananda learned over the past five years. Also, be sure to take a look at the Podcasting 101 Digital Treats below. Enjoy! 1) Podcasting allows you to express your thoughts and opinions as original content with leading edge technology that many people are not using. It helps you stand out among the crowd! 2) Podcasting strengthens and highlights your expertise as a thought leader. 3) Podcasting helps you develop and demonstrate your skills as a speaker, moderator, panelist, workshop facilitator, and seminar leader for events. 4) Podcasting helps you to create a personal connection with listeners by delivering original content in a portable and convenient manner. Because podcasts are like magazines, people can subscribe to them. They can download them to their computers, mobile devices, and mp3 players. Also, people can choose to listen to podcast episodes whenever they want to. 5) Podcasting is an easy and cost-effective way for you to market your skills, services, and products. 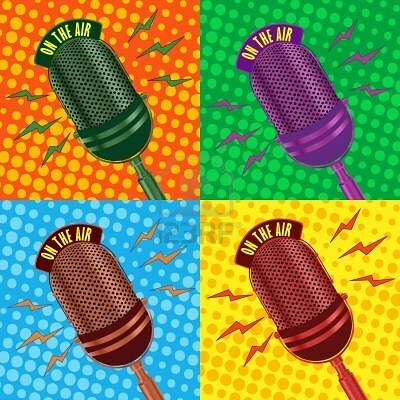 Most podcast platforms free or inexpensive to use (BlogTalkRadio, Cinch.fm, and Talkshoe.com are free for basic services). 6) Podcasting helps you cross promote and market your web site, blog, social media sites, products, services, and events. 7) Podcasting helps you highlight the work, accomplishments, services, and products of others. Your efforts can create social capital that leads to loyal fans, brand advocates, collaborative partners, colleagues, and sponsors who will support your efforts. 8) Podcasting expands your audience for your web site, blog, and social media sites. 9) Podcasting helps you build and nurture relationships and networks with listeners who represent potential or existing clients, customers, collaborative partners, donors who contribute to your crowdfunding projects and social good efforts, and sponsors.